We are the recognized manufacturer & supplier of nickel plated brass glands which are made of superior quality brass materials which are coated with nickel plating. These are tested under various special parameters before their final dispatch. Apart from the various specifications, these are also offered in customized form. We have in store for our clients a wide range of Nickel Plated Brass Gland - IP68 Rating - Pg Thread. Available in various specifications, these are quality tested on well-defined parameters before supplying it to our clients. We have specialized in manufacturing & supplying a broad array of nickel plated brass glands which is made of quality proven raw materials and is designed with higher precision. With various specifications, these are quality tested on well-defined parameters before supplying it to our clients. 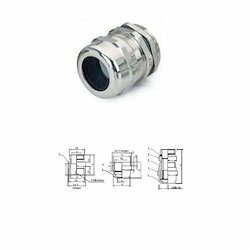 Looking for Nickle Plated Brass Gland - IP68 Rating - PG Thread ?